In April, Belarus and Europe continued re-establishing contact at different levels. Belarus welcomed the Bulgarian foreign minister and senior diplomats from Sweden and Bosnia and Herzegovina. At the institutional level, Minsk and Brussels inaugurated their new dialogue format, the Coordination Group. Belarus’ economic interests prompted the government to call for stronger relations with the “Remote Arc” countries, in particular, Nigeria and Ghana. 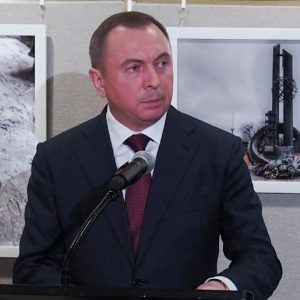 In New York, foreign minister Vladimir Makei focused on social issues and development agenda. On 10-12 April, Bulgarian foreign minister Daniel Mitov paid a working visit to Minsk and met his Belarusian counterpart Vladimir Makei. Mitov stressed Bulgaria’s willingness to contribute to improving Belarus-EU relations but emphasised the need for respect of human rights in Belarus. Mitov came to Belarus not only in his national capacity but also as the current chairman of the Committee of Ministers of the Council of Europe. Minsk is interested in greater involvement of Belarusian parliamentarians in the work of this organisation. In this context, Mitov met Vladimir Andreichenko, the chairman of the lower house of the Belarusian parliament. Belarus and Sweden continued to strengthen their bilateral ties, which are now close to full normalisation after the teddy bear airdrop incident in 2012. On 31 March-1 April, state secretary for foreign affairs Annika Söder met Vladimir Makei and his deputy Alena Kupchyna in Minsk. It was the first visit of a Swedish official to Belarus at such a level for 25 years. Söder also met Belarusian opposition leaders. On 22 April, Belarus and Bosnia and Herzegovina held their first political consultations at the deputy foreign minister level since 2007. In Minsk, Alena Kupchyna and Josip Brkić focused on further development of the two countries’ trade relations. Belarus and Bosnia and Herzegovina have so far been unable to establish the bilateral trade commission provided for in their trade agreement of 2004. The parties also discussed regional cooperation, as Bosnia and Herzegovina holds the presidency of the Central European Initiative (CEI) in 2015. Belarus recently downgraded the level of its participation in this regional forum despite the fact that most of the Belarusian government’s sympathisers in Europe (such as Austria, Hungary, Italy, Slovenia etc.) also participate in the CEI. In Brussels on 6-7 April, Belarus and the European Union launched a new format of bilateral dialogue, the EU-Belarus Coordination Group. This informal negotiation platform emerged as a follow-up to the Interim Phase on modernisation issues. Alena Kupchyna and Deputy Secretary General for the External Action Service Helga Schmid headed the respective delegations. Belarus and the EU identified eleven priorities for the dialogue, with trade, investment, environment and infrastructure dominating the agenda. However, the parties have also been discussing the establishment of a national institute for human rights in Belarus. The EU will sponsor a workshop on this issue in Minsk later this year. Representatives of Belarusian civil society participated in one session of the coordination group and were able to comment on the dialogue’s priorities. Belarus’ Ministry of Foreign Affairs validated each candidature. The Konrad Adenauer Foundation financed a trip of a team of Belarusian officials and experts to Brussels on 18-21 April. They discussed security and defence issues with officials from NATO, the European Parliament and the European External Action Service as well as think tanks. On 20-22 April, Makei was in New York on an extremely tight schedule. There, he signed the Paris Climate Agreement on behalf of Belarus and spoke at the United Nations' special high-level events on sustainable development goals and drug trafficking. The minister opened a photo exhibition at the UN headquarters dedicated to the 30th anniversary of the Chernobyl disaster. He also met his counterparts from Argentina, Costa Rica, Singapore and Tajikistan as well as high UN officials. Finally, Makei participated in the first-ever high-level meeting of the Eastern European Group (EEG). Belarus chairs the group in April. The uniqueness of the EEG is that it assembles the countries which belong to competing economic and military blocs in Europe. Normally, the EEG’s role has been limited to deciding on the distribution of seats at various UN bodies and performing other procedural functions at the organisation. Lately, Belarus has been working on uniting the EEG’s members behind the common agenda of UN reform and strengthening the group’s role and visibility at the UN. In recent years, Belarusian diplomats have successfully moved from a reactive response to the UN agenda set by others to identifying and pursuing the country’s priorities in multilateral diplomacy. Deputy foreign minister Valentin Rybakov made a tour in Western Africa, visiting Nigeria on 4-5 April and Ghana on 6-7 April. The political consultations between the foreign ministries were held both in Abudja and Accra. However, trade relations and academic training of African students in Belarus remain at the top of Belarus’ agenda in its relations with Nigeria and Ghana. Rybakov came to Africa accompanied by Belarusian manufacturers of agricultural and transport machinery. Minsk is seeking to develop local assembly of its tractors in Nigeria and trucks in Ghana. On 14 April, Belarusian president Alexander Lukashenka, on the sidelines of the summit of the Organisation of Islamic Cooperation, met the leaders of Afghanistan, Indonesia, Qatar and Pakistan, with trade and manufacturing cooperation the focus of the discussions. On 21-24 April, Nkosazana Dlamini-Zuma, the Chairperson of the African Union Commission, visited Minsk. She met Prime Minister Andrei Kobiakov and first deputy foreign minister Alexander Mikhnevich. Belarus has rather a limited diplomatic presence in Africa. Cooperation with the African Union may help to enter the African markets and participate in pan-African economic and technical cooperation programmes. In late April, Belarusian officials also discussed the development of trade relations with Sudan in Minsk and Qatar in Doha in the format of the bilateral cooperation commissions. Lukashenka recently instructed his government and Belarusian diplomats on the need to achieve a new balance in Belarusian exports. They should be equally distributed – one third each – among the Eurasian Economic Union (EEU), the EU and other countries, including the so called “Remote Arc” countries (Africa, Asia and Latin America). Currently, the share of the EEU in Belarusian exports stands at over 42 per cent, with the EU at 32 per cent. This means that the share of the “Remote Arc” will have to grow significantly at the expense of Russia and other EEU members. Igar Gubarevich is a senior analyst of the Ostrogorski Centre in Minsk. For a number of years he has been working in various diplomatic positions at the Belarusian Foreign Ministry. This month Freedom House published Nations in Transitions report on Belarus authored by the Editor-in-Chief of Belarus Digest​ Yaraslau Kryvoi. According to methodology, country experts prepare reports while Freedom House has a final say on the ratings. Most of Belarus' ratings remained the same except for Civil Society and Election Process which have slightly improved. The Electoral Process rating improved because of a reduction in political violence and persecution of opposition figures, and the relative openness of criticism of the government in the October presidential election. The Civil Society rating improved due to the release of civic activists from prison and an increase in political space for advocacy campaigns and fund-raising during the year. July 2015 marked the 25th anniversary of Belarus’s declaration of independence from the Soviet Union. After a brief period of democratic transition in the early 1990s, the country gradually developed into a consolidated authoritarian regime under President Alyaksandr Lukashenka. In October 2015, Lukashenka secured a fifth term in an election that observers from the Organisation for Security and Co-operation in Europe (OSCE) did not recognise as free and fair. However, unlike the December 2010 presidential election, the 2015 voting was not followed by violence or imprisonment of major opposition figures. Russia’s illegal annexation of Crimea in 2014 and the subsequent conflict in eastern Ukraine had an important psychological impact on Belarusian authorities. The government is increasingly concerned by Russian actions in Ukraine and is trying to distance itself from its eastern neighbour. Belarus is also suffering from the effects of Russia’s economic downturn. In an attempt to improve relations with the West and offset the influence of an increasingly assertive Russia, the Belarusian administration released all political prisoners in August 2015. The release of prisoners and decreased state persecution of the political opposition contributed to a modest improvement in the country’s political environment. However, the executive remained firmly in control of all branches of power, with very little public oversight of its activities. The conflict in Ukraine persuaded both the authorities and a significant part of the population that political changes could undermine stability in the country, and this was used as a justification to stifle dissent and to preserve the existing political regime. In October 2015, following the prisoner release and peaceful election, the European Union (EU) suspended restrictive measures against hundreds of Belarusian officials and other individuals seen as linked to human rights violations. Similarly, the United States temporarily lifted sanctions against several major Belarusian companies. After hosting important negotiations on the resolution of the Ukraine crisis, which culminated in a February 2015 summit attended by the leaders of Germany, France, Russia, and Ukraine, Belarus had worked to intensify its contacts with Western Europe and the United States. It had also softened its anti-Western rhetoric, attempting to pursue a more balanced foreign policy and cautious economic reforms. After the presidential election, most international observers praised the nonviolent treatment of political opponents, minor improvements in the election legislation, and opportunities for the opposition to campaign. However, nothing changed at the fundamental level. The authorities continued to abuse their monopoly on television during the campaign period; used administrative resources to increase the turnout of voters, particularly by coercing people to participate in early voting; and failed to conduct a transparent vote count, among other election irregularities. The situation for civil society improved slightly in 2015, with more opportunities for advocacy campaigns, local fund-raising, and attempts by high-level officials to engage with civil society groups, especially on economic reforms. The release of all political prisoners in August also helped to open space for civil society activities. Separately, Belarusian authorities joined the Bologna Process on European standards for higher education, and began to encourage participation in pan-European research projects and networks, such as Horizon 2020. However, civil society organisations still face significant challenges, including obstacles to registration as legal entities and the threat of criminal sanctions for operating without registration. Although new domestic fund-raising mechanisms are gaining popularity, the government maintains restrictions on funding for civil society organisations, particularly from foreign sources. The authorities continued to suppress independent broadcast and print media in 2015, marginalising the voices of those who disagree with the regime. Although state television has started to invite prominent opposition figures to prime-time talk shows more frequently, this has not changed the nature of public debate in Belarus. Foreign media outlets struggle to obtain official accreditation in the country. Internet-based media generally remain available to most users, but the government continued its policy of restricting access to some opposition websites at state-controlled institutions. The authorities took a number of steps to address corruption in 2015, including adoption of a new anticorruption law, after a public consultation, and the implementation of a national program to combat crime and corruption. 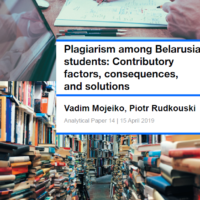 According to various enterprise surveys, Belarus is often regarded as one of the least corrupt countries in the Commonwealth of Independent States, but implementation of anticorruption measures remains selective in practice and lacks transparency. The authoritarian nature of the political regime in Belarus will not change in 2016. The executive branch, with President Lukashenka at the top, will avoid implementation of significant reforms, though economic modernization is likely to continue without much fanfare. That would be in part a result of the gradual replacement of Soviet-minded conservatives with a new generation of officials, but also a response to major problems in Russia, the country’s main financial supporter. Economic and political pressures from an increasingly assertive Kremlin will lead to more attempts by Belarus to improve its relations with the West. The authorities can be expected to continue treating the political opposition and media without unnecessary brutality, while denying them the freedom necessary to change the political status quo. Read full report in pdf (15 pages).